About McColly Real Estate? McColly Real Estate was established in 1974 and has grown to be the largest residential independent real estate firm in Chicago Southland and Northwest Indiana with over 500 sales professionals in 24 offices.  McColly has realized phenomenal growth since joining the Leading Real Estate Companies of the World network as an independent firm in March of 2003. To search homes locally and globally, visit mccolly.com.